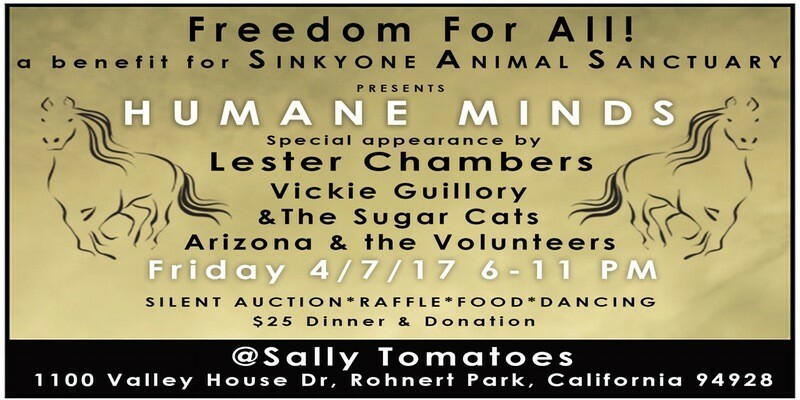 April 7, at Sally Tomatoes, 1100 Valley House Drive, Rohnert Park. 6pm. $15–$25. sassonomacounty.com.